We all know that tobacco use is bad. It can cause illnesses like cancer, heart disease, stroke, disability and death. 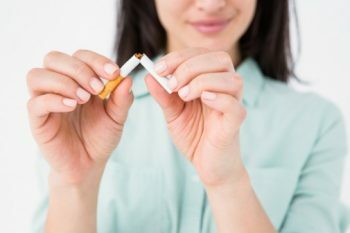 Yet, more than 1 in 5 adults and 1 in 6 high school students smoke and new products to the marketplace such as e-cigarettes continue to make tobacco visible and available. Faith communities can lead the way in helping people kick the habit and in not getting started with smoking in the first place. What is your faith community doing to promote Tobacco-Free Living? Find suggestions for how you can take action here. If you congreationa is taking action on tobacco-free living, you may be a Healthy HotSpot! Look over this checklist and see if you qualify!